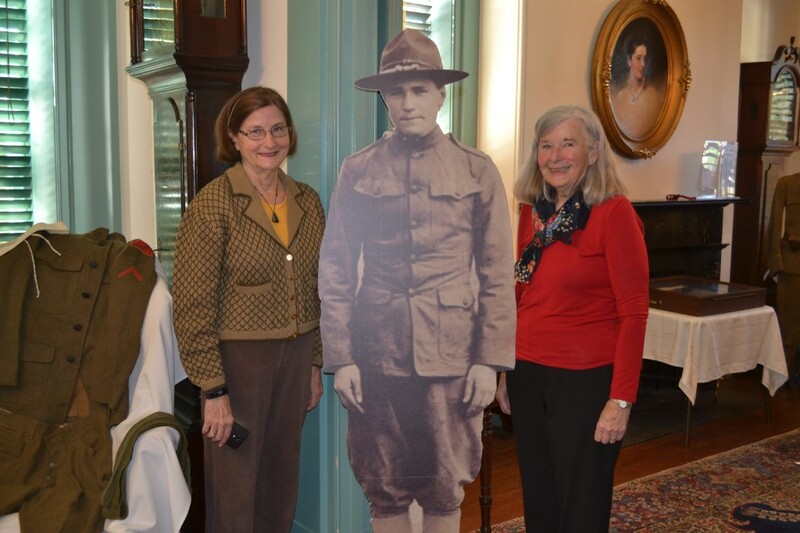 The Historical Society of Haddonfield opens up a new temporary exhibit on WWI, starting Nov. The Historical Society of Haddonfield opens up a new temporary exhibit on WWI, starting Nov. 6 and ending Dec. 8. Admission is free and donations are welcome. Proceeds go to supporting the Historic Society. Visitation times are Monday, Wednesday, and Friday 1 p.m. to 4 p.m. at Greenfield Hall on Kings Highway East. Haddonfield residents are invited this month to step back 100 years to World War I and see original uniforms and rare memorabilia from the war. The Historical Society of Haddonfield is housing a new, temporary exhibit, “The First World War — Haddonfield and Abroad,” through Dec 8. Some of the features in the exhibit include a 48-star American flag that was flown at “Birdwood,” home of the Gov. Alfred Driscoll. The collection also includes five medals belonging to Haddonfield war hero Walter G. Long, including a Purple Heart and much more. Every item in the exhibit was donated by Haddonfield residents and every piece has Haddonfield origins, which is just a glimpse of what makes this exhibit so unique. “We have all kinds of material that shows what it is like to be so united in a cause,” co-chair of the World War I exhibit Kathy Tassini said. A fascinating piece in the exhibit is the Haddonfield Medal, which was later adopted as the official seal of the borough. The medal is made of gold and designed for those who served in the war, making this piece one of the many notable ones in the collection. The seal was designed by Haddonfield artist Emlen McConnell, an illustrator for Curtis Publishing and resident who lived off Warwick Road during WWI. Not only will the exhibit provide in-depth looks at the history of Haddonfield, it will bring residents who are passionate about Haddonfield’s history together under one roof. Chair of Collections Dianne Snodgrass and Tassini both hope residents support the Historical Society by coming to visit the new exhibit and enjoy the learning experience as much as they have. “The best thing about working as a volunteer in all of this is that you’re constantly alongside of people who like the same stuff you do, so the comradery is also part of it,” Snodgrass added. Admission is free, however, donations are always welcome. Proceeds go to supporting the Historical Society. Viewing times are every Monday, Wednesday and Friday 1 p.m. to 4 p.m. at Greenfield Hall on Kings Highway East. For more information of the Historical Society of Haddonfield, go to haddonfieldhistory.org or visit their Facebook page at https://www.facebook.com/thehistoricalsocietyofhaddonfield/.